They ask this question because they’re still thinking in assistant-mindset. You’re in business to provide a service. You have (or will have) several clients to take care of. You simply cannot be instantly available to each and every client at the drop of a hat. In fact, trying to do so will negatively affect your quality of work and client satisfaction. You therefore need to understand that in business, when and how you and your clients work together is necessarily going to be very different from when you were an employee filling a position working for one employer. This is the reason that “full-time” and “part-time” and what time zones you and your clients are in are completely irrelevant. Instead of hours, what you need is a plan — a system — for managing your workload and requests. A system gives you the structure you need to handle everything in a timely manner without being rushed and squeezed and stressed. It also gives clients a framework they can depend on without forcing you to be at their constant beck-and-call — which, by the way, is a business-killer because as your business grows into a viable income you can live on, that is not a promise you can sustain. You NEED space to do great work for clients. In the early years of my practice, I went through all these same growing pains. I ended up with clients who thought I was their assistant (because, stupidly, that’s what I called myself back then). Eventually, I had over 10 monthly retainer-paying clients — and I thought I was going to lose my mind. That’s because those clients expected me to be at their immediate beck-and-call, just like an assistant. I tried, heroically, to live up to those expectations, right up until the day that I realized how utterly miserable I was and what a mess my business had become. Instead of doing good work, work that made a difference in my clients’ businesses, I was spending all my time in communications and jumping from fire to fire. I didn’t have a business I loved, I didn’t have a business that supported my life. I had a business and clients who ran me. That was not what I had envisioned for myself whatsoever. That’s when it dawned on me that where I had failed was in not being in charge of my own business; by letting clients decide how things would work in my business (instead of the other way around). I had let them make the rules by abdicating that authority in my own business. I had not set any policies, practices or protocols in my business with any intention or forethought whatsoever. I was under the misinformed delusion that that was what customer service was all about: jumping to attention the instant the client commanded. I thought all I needed to do was give great service, which at that time to me meant: rush to respond quickly to everyone and get work done as fast as possible. Oh, what a silly, naive girl I was! Thank goodness I realized what utter nonsense that thinking was and came to my senses relatively quickly after “only” a few years of suffering. Good service is so much more than that and involves a much bigger picture. Many, MANY hard lessons were learned during that unhappy period. Thankfully, my business survived (most are not so lucky), but not without shaking things up and completely overhauling how things work in it. I had to get conscious and intentional about what I wanted from my business, how I wanted to work, who I wanted to work with, and what my values were around my work and serving clients (also known as standards). This helped me then begin to set simple, but clear policies, procedures and protocols for operating my business and working with clients that supported those standards. It was only then that I was able to begin creating the happier, more joyful, fulfilling business I had always wanted all along and that I enjoy today. Now, I no longer have to work with so many clients (10 retainer clients was WAY too many, and I was WAY undercharging at that time as well). I don’t have clients sweating me any longer because now I have a system for how work requests are managed and carried out that gives me the stress-free space I need to do the work well without being crowded. And because they know exactly how things work upfront (all part of my system), working together is so much easier and more peaceful. I also have the added benefit that I have a lot more ability to move things around to suit my life. If something comes up and I decide I need an afternoon off or to take a day off in the middle of the week for something special, my system allows me to do that without my clients experiencing any hiccups. 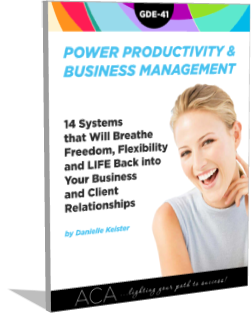 I share this system I’ve developed in my own practice and have used happily and successfully for over 15 years now with all my clients in my guide: Power Productivity & Practice Management for Administrative Consultants. If you are early on in your administrative support business, this is the perfect time to put a system like mine in place because it’s easier to on-board new clients in the ways you want than it is to retrain them after they’ve been spoiled by unsustainable practices. 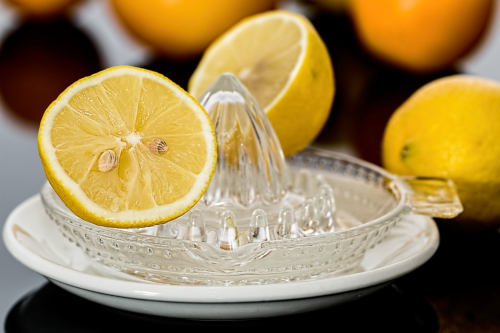 However, even if you’re already established, but are feeling the squeeze and realize that something needs to change in your business, my guide shows you how to transition existing clients into new policies and procedures. 3 Comments Posted in Best Biz Practices, Boundaries and Standards, Business Management, Business Planning, Financial Success, Getting Clients, Ideal Clients, Learning, Living Your Best Life, Policies & Procedures, Setting Proper Expectations and Understandings, Starting Your Biz, Success and Profitability, Working with Clients. Bookmark the permalink. Further reading on the topic of “FT/PT”: Dear Danielle: Do Clients Need to Know If I Am Full-Time or Part-Time? I am so glad you posted this article! I am just starting out (haven’t actually started, as of now) and am in the corporate assistant mindset. The Power Productivity and Business Management is definitely something that will help! I want out of my role in the corporate world and would have gone into my own business in the same role. That would have been terribly disappointing. I like to have these discussions (they’re a frequent theme of my blog posts) because they help raise peoples’ business consciousness. We’ve got far too many people in our industry being taught to call themselves assistants and trained to run their businesses as if they are assistants. Just this morning I came across an article from someone new in business. The topic of the article was something about “10 Questions to Ask Your…” and it read like an HR post with questions for clients to ask as if they were employers interviewing candidates for a position. Um, no, no and NO! They need to flip that script. It’s up to US as business owners to ask the questions and inform clients how things work in our business, not the other way around.